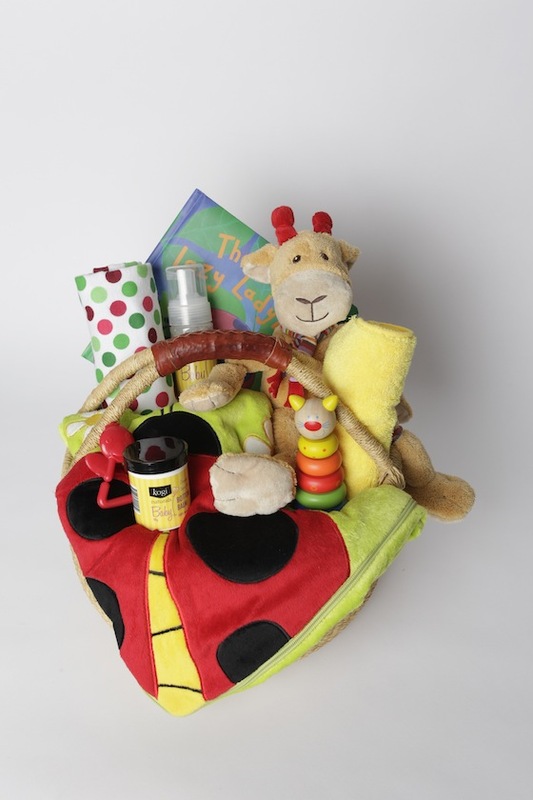 "We dream, explore and assemble exquisite baskets that bring priceless smiles & joy." Well that sounds promising! Who wouldn't want to see someone smile after receiving a gift basket from the heart. There is certainly a vast amount of gift basket company to choose from. So how do you pick yours? Is it out of convenience? What ever is the quickest? Or, do you pick a company that fills the basket with goodies that reflect your personality and the personality of the recipient? 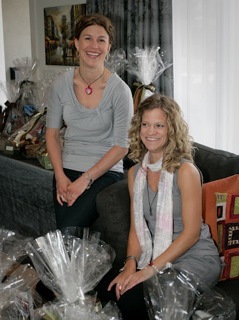 Meet Kre8tive Karma, a gift basket company out of Calgary. Who are they? The Kre8tive Karma duo, Kari Kershaw & Tracy Paley, reside in Calgary & Kananaskis County in beautiful Alberta. Both are mothers of two boys, adore the outdoors, have a competitive nature & a passion for a life where a wish can become an occupation of love. Each basket is meant to feel sweetly familiar and delightfully luxurious. What's GREAT about their baskets is, all of the woven baskets that Kre8tive Karma uses come from Africa. All baskets are handcrafted in the small village of Bolgatanga, Ghana. Elephant grass grows along the riverbank, which is then woven into handcrafted baskets by the local villagers and sold in shops and markets an Canada. 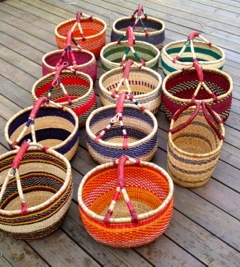 The sisters of Kre8tive Karma are so fortunate to have the ability to hand pick each and every basket they use. The Brighter Side is to bring you Good News, Great Ideas & Amazing People. 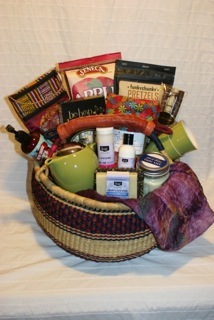 Both Kari and Tracy would LOVE to share in your good news with their great idea and truly amazing baskets. They invite you to join them in celebrating the art of giving and the joy of convenience with Kre8tive Karma’s signature baskets or made to order custom ensembles. They do all this to help you make the most of times which make life irresistible; Exquisite Dinners, Unforgettable Holidays, Goodnight Kisses, New Beginnings, Quiet Moments, Spectacular Achievements…times no one wants to forget! Visit Kre8tive Karma online, Facebook, and soon to come Twitter! Thanks for sharing The Brighter Side of life Kre8tive Karma! 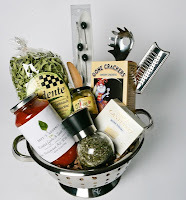 Gift in a Gift Baskets is a good idea to give some one. Both Kari and Tracy would LOVE to share in some good news with their great idea and truly amazing gift hampers.